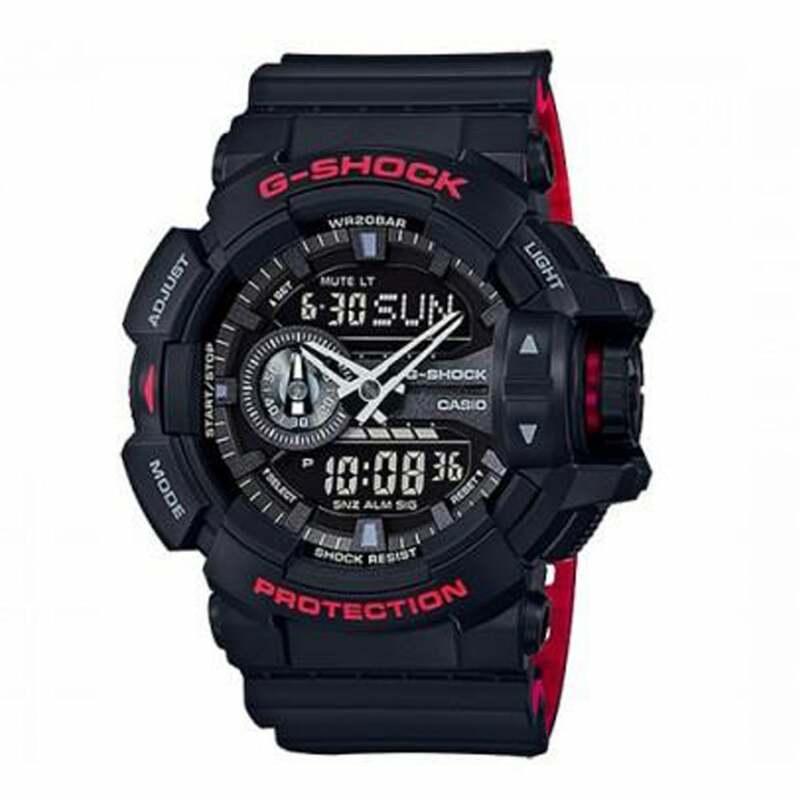 This G-Shock GA-400HR-1AER Casio Men's Black & Red Alarm Watch is fitted with a chronograph quartz movement. Having a black dial, and a red inner and black outer strap, it really is a one off. It has a 47mm case width and 200m water resistance.